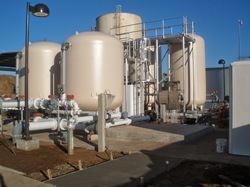 We cater to the demands of our clients with our quality range of Industrial Water Treatment Plant. Known for easy installation and low maintenance, our plants find application in sugar and food & beverage industries. We also offer customized solutions as per the specific requirement of our clients. 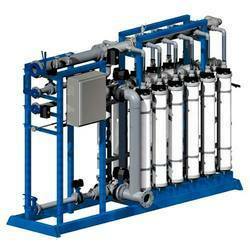 We are leading manufacturer of Reverse Osmosis System and our product is made up of good quality. Our industrial water treatment plant operates on principles of osmosis process by which water treatment is done effectively. We are leading manufacturer of Nano Filtration and our product is made up of good quality. This technically advanced range of nano filtration makes use of permeable membranes to separate varied fluids and ions. To ensure optimum performance, the plant requires equal energy as required by the reverse osmosis plant. As compared to reverse osmosis plant, the nano filter has bigger membrane pores. 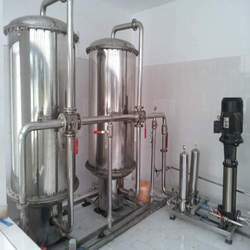 We are leading manufacturer of Ion Exchange plant and our product is made up of good quality our range of water softening plant make use of Ion Exchange resin. Makes the water suitable for utility purpose. ion exchange is an effective process in which undesirable ions are exchanged for irons that are more desirable. Most common and easiest method of removing hardness (i.e. calcium & magnesium) from the water. Looking for Industrial Water Treatment Plant ?